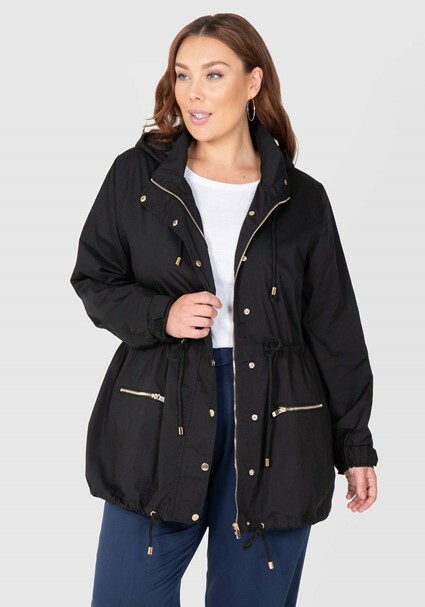 A classic anorak shape with featuring all the details such as zip pockets and draw cords. Add glam gold hardware and turn this all-day classic into an everyday must have. Created from a cotton rich poplin and fully lined, this anorak has just become your perfect wardrobe staple. 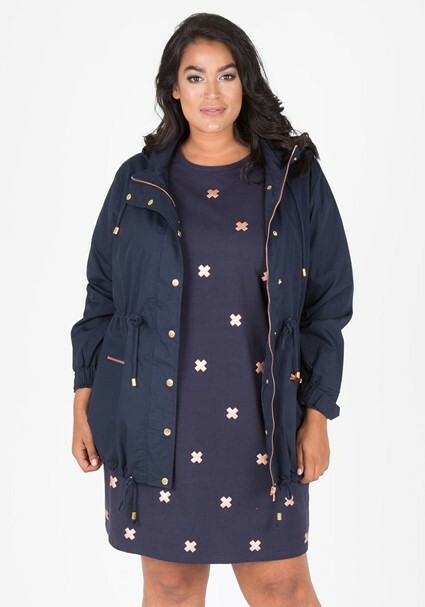 Our model is wearing a size 16. She is a size AU16, and is 5‘9" (175cm) tall. She has a 105cm bust, 86cm waist and 115cm hips. 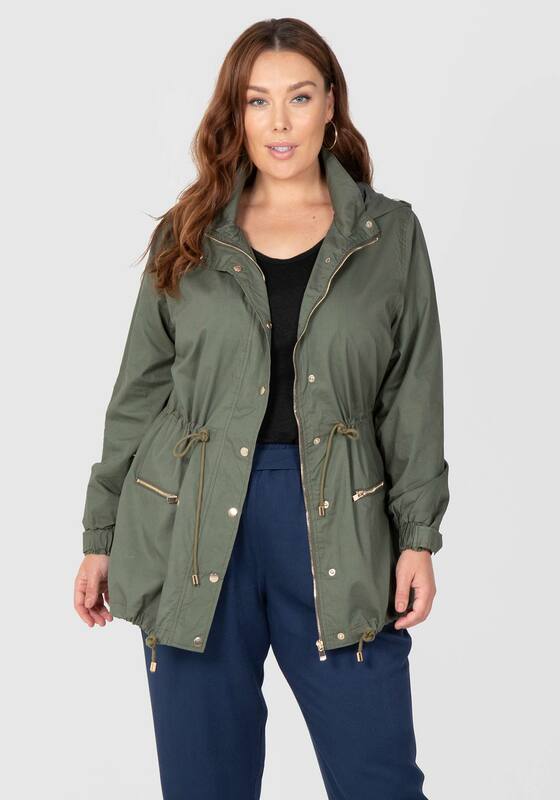 The anorak measures 128cm in the bust circumference and 145cm in the hip circumference for a size 16, and increases 5cm per size. The front length from side neck is 80cm.